I have been working with my mom to come up with some healthy ways to get protein without soy or meat products. This is quite a challenge as we also had to exclude green leafy vegetables and broccoli. 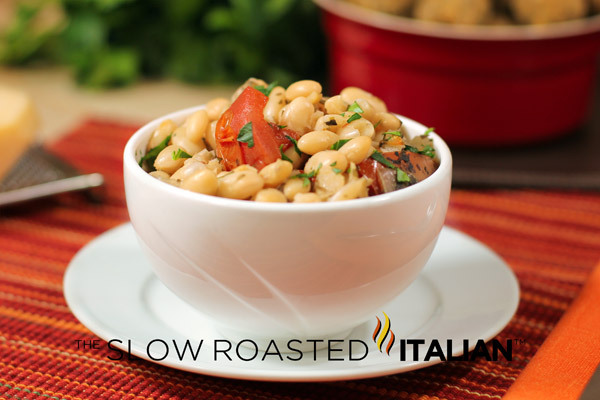 I came up with this fabulous bean dish made with incredible Italian flavors (I adapted hers to use vegetable bouillon and no salt which made it vegetarian and perfect). 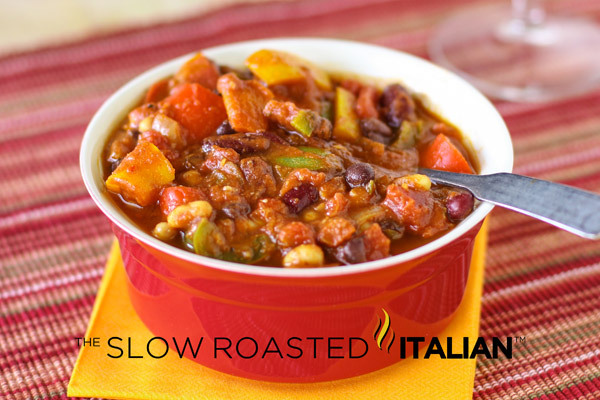 Italian Style Crock Pot Beans would be incredible served with quinoa and your favorite vegetable! This dish is so good I had 2 bowls of it for dinner. Nothing else. Perfectly simple and you can make 1/2 recipe too! Make sure to check out these fabulous bean dishes! Click on the picture or the link to open in a new window. 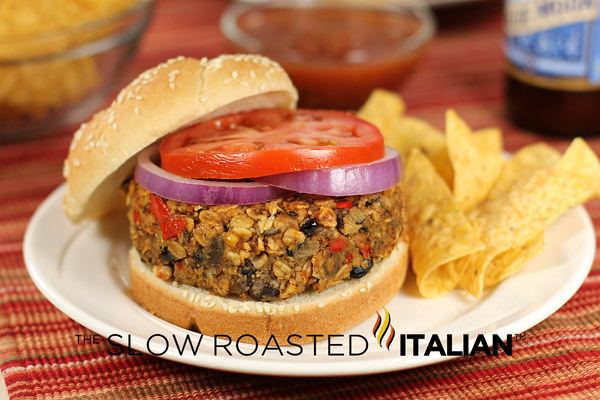 Power House Veggie Burgers loaded with 3 beans, tons of southwestern flavor and a little kick. My 3 year old prefers these over hamburgers. A hearty vegetarian chili? No, its not a dream. It's The Best Ever Power Packed Vegetarian Chili. Loaded with flavor&completely satisfying! 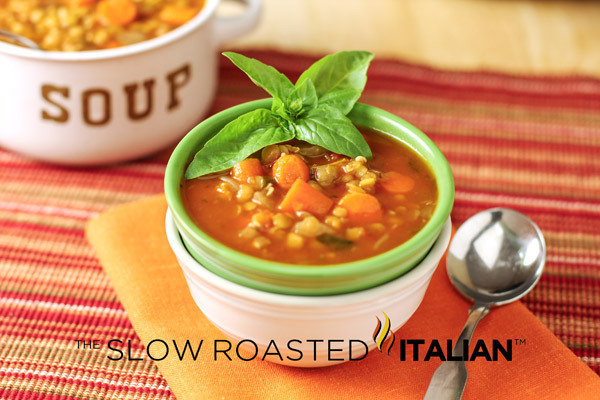 A fabulous lentil soup with Italian flair, inspired by my mom. Rich and hearty even though it is meat free, shhh! You are going to love it! Check beans for stones/bad beans. Rinse and place in a large crock pot (about 6 quart). Fill with water. Soak overnight. Drain and rinse beans well. Place back in crock pot. Add all ingredients into crock pot and cook on low about 5-8 hours until beans are tender, stirring occasionally. Remove bay leaves. All these recipes look terrific. Love the bean soup - putting it on my list! Great recipes for healthy protein - just love those crockpot beans!! Those veggie burgers look amazing!! I adore bean soups. They're so hearty and freeze well for work day meals. i love white beans... so this is right up my alley! Wow... and I mean that. Could canned beans be used ? You could use canned beans, but I would not cook it for 5-8 hours, maybe just until warmed through. Enjoy and let us know how it goes.